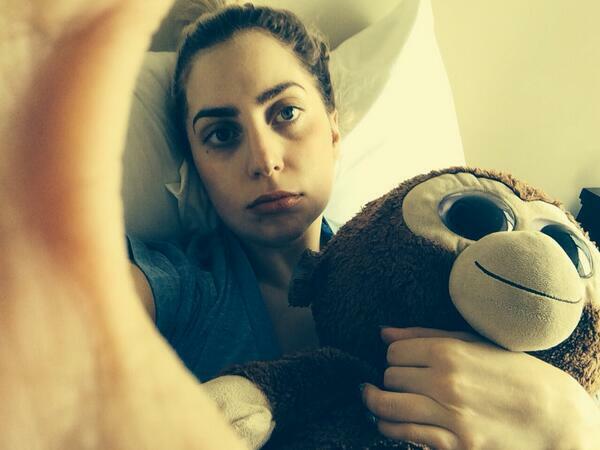 Lady Gaga got the sads as she is laid up due to having her wisdom teeth taken out. 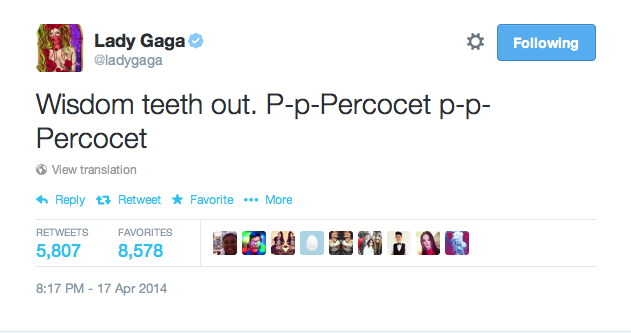 Why do they call them wisdom teeth anyways? I got all 4 of mine taken out at once then boarded a Greyhound bus to start college. I felt like a cow shipped off to the stock yards. Boo hoo Lady Ga Ga.